Thompson Auto-Ordnance, maker of the famous "Tommy Gun" and other classic firearms throughout history, introduced the special edition WWII themed Tanker Thompson. “Built like a tank” is a phrase that has entered the American lexicon as a means to describe hardware that is durable, strong and nearly indestructible. The term may have originated in describing armored fighting vehicles, but it also clearly describes the Tommy Gun. It is only fitting then, that Auto-Ordnance continue the series of WWII commemorative guns with the “Tanker Thompson,” dedicated to the memory of the brave American soldiers who faced the enemy in steel chariots like the M4 Sherman Tank. Nearly 50,000 Shermans were produced during World War II, seeing action primarily in Europe against Nazi Germany. Just like the Thompson, these Shermans were a vital part of the war effort. Though the crews that took them into harm’s way were often outgunned by German tanks, they took the fight to the enemy and achieved victory despite the odds. Auto-Ordnance is proud to honor America’s armored warriors with this commemorative Thompson. Each Tanker Thompson is Cerakoted in Army O.D. Green. The white star of the Sherman Tank is engraved just in front of the magwell. The “U.S.” logo is engraved on the buttstock. Like every Thompson, the gun is all steel with high grade walnut furniture. The 16” barrel is exceptionally accurate. Owning the Tanker Thompson gives the modern shooter the opportunity to own a piece of history while honoring the memory of the brave tank crews who delivered on America’s promise to achieve final victory in World War II. The Tanker Thompson, model TM1C1, is chambered in .45 ACP, features a walnut fixed stock with U.S. logo and vertical foregrip. It comes with 30-round and 20-round stick magazines, Kerr sling and a mag pouch. 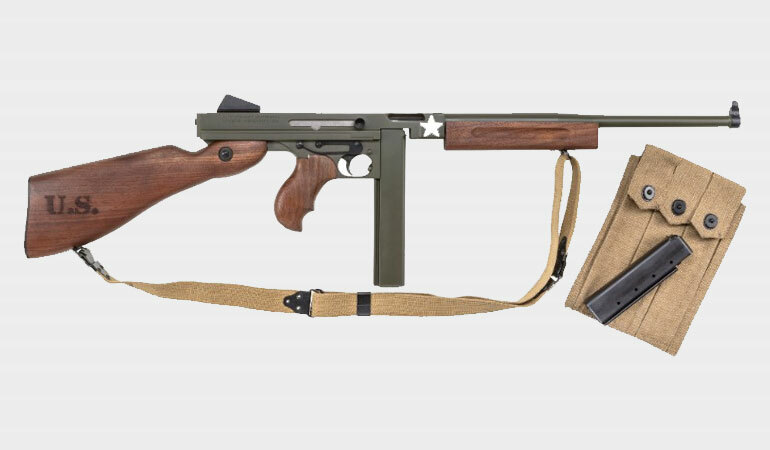 Contact your local firearms dealer to order your Tanker WWII Thompson! MSRP is $1749. Kahr Firearms Group and Outlaw Ordnance have partnered together on the design concept and promotion of this product, and several other custom firearm projects. Outlaw Ordnance, based out of West Monroe, Louisiana, has seen substantial growth in the last few years. 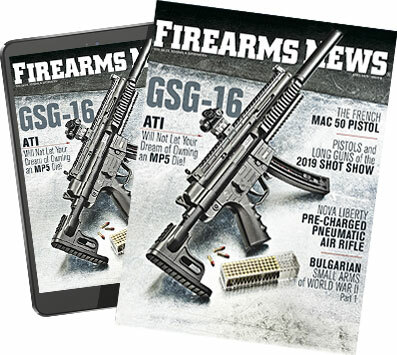 They are changing the firearm industry with custom designs and innovations. Check out their Instagram Channels to see what else is new. For more information, visit www.kahr.com, www.magnumresearch.com, www.auto-ordnance.com or www.customdeserteagle.com. For press inquiries contact Monica Arnold at pr@blueaugust.com.